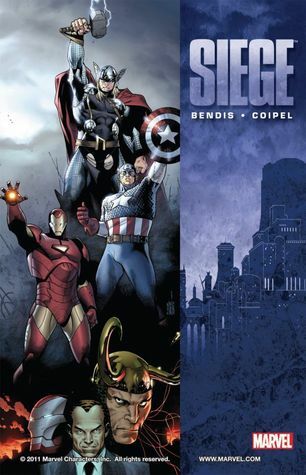 Collecting the Siege prologue, Siege: The Cabal, Siege #1-4, and Avengers: The Way Things Are. This is what the Norman Osborn Avengers were headed towards: the final confrontation between them and the real Avengers. Let’s face it, we all knew that it would end like this. Asgard has fallen to Earth and Osborn is increasingly paranoid about it. The cabal of supervillains he has gathered isn’t helping his paranoia. Rather, Loki is feeding it. After the Cabal has a falling out, Osborn contacts the President (of USA) and just tells him that Asgard is a security risk and must be destroyed. The President forbids him but Osborn leads his faux-Avengers, H. A. M. M. E. R. and the initiative against Asgard’s forces, anyway. They beat down Thor first on live TV. Of course, Cap and his allies come to battle it out. Osborn’s biggest gun is the Sentry who shows his real dark side. Ares even turns against Osborn but Osborn commands Sentry to kill Ares. A few other characters are killed, too, but I’m not sure if any of them stay dead. Loki, at least, is back. This is the end of Marvel’s grimmer age. 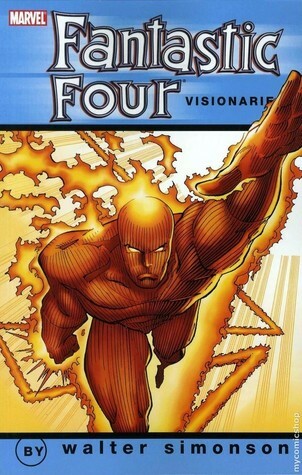 The next stage is Heroic Age where the Avengers (and other teams) are reborn as more heroic characters. I’m not a fan of grim heroes and liked the lighter Heroic Age more. The final story in this trade is set before the Siege. 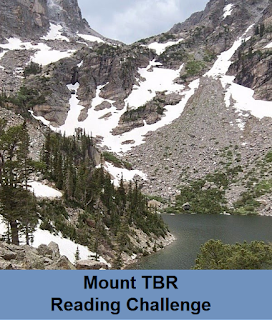 In it, ice giant Ymir had beaten Thor and New York is in danger of being buried under snow, in May. Spider-Man calls in the real Avengers but Osborn’s Avengers also show up. They and the real Avengers must team up to retrieve the Twilight Sword from the ice giants. The Siege event itself doesn’t introduce the characters at all; the assumption is that the reader has been following the storyline and so knows at least most of them. But the final story somewhat introduces the central characters and the conflict between them so it was strange to but it at the back. While the event has a lot of characters, it focuses on Osborn and to some extent Steve Rogers, which makes it clearer than many other events. 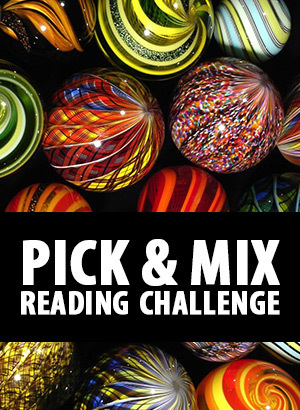 Especially if you read the last story first, so that you get to know (or are reminded of) the characters a little first. Overall, this was a good ending to the conflict with a hopeful future for the heroes. 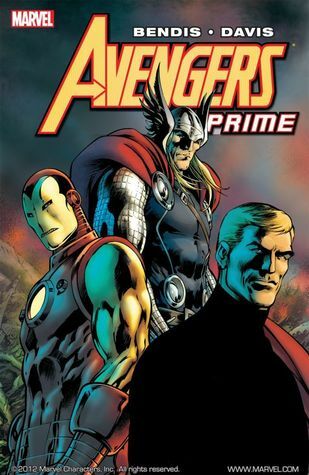 This series is set right after Siege (where Norman Osborn led the Avengers and apparently used the Iron Man suit). I think I’ve only read the X-Men side of that. After the events of Siege Cap is mad at Iron Man and Iron Man is trying to defend himself. 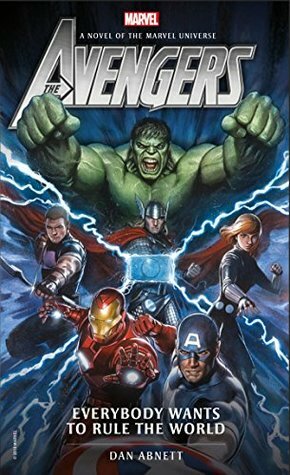 However, they try to work together when Asgard falls to Earth and the Avengers investigate. However, Steve and Tony snipe at each other the whole time so much that even Thor suggests they leave. Then the remnants of the Rainbow Bridge activate and sends Thor, Steve, and Tony away. Each ends up alone in a fantasy type setting. It turns out that the Nine Realms are in chaos and everyone blames Thor. When Steve tells the elves that he’s a friend of Thor, he’s attacked. When Tony tells the ogres the same thing, he’s knocked unconscious and stripped of his armor. Meanwhile, Thor is battling the big bad boss. This is a fun adventure without much deeper significance. The trio save each other while Steve and Tony are reminded how much they care for each other. The funniest part was Tony stripped naked and then Steve comes to his rescue in full armor. Steve also has a brief romance with a girl whose name we don’t know until the last issue. I guess she’s there to reassure the (male) readers that our heroes are heteros and that Tony and Steve are just friends no matter how much male bonding the story has. Awesome art, as usual from Davis. I loved the massive battle scenes with a dragon and the various Nine Realms creatures. Collects miniseries Rogue & Gambit 1-5. For many years (at least for us readers: Rogue and Gambit met for the first time in 1990s) X-Men Rogue and Gambit have danced around each other. They’re attracted to each other but so far they’ve had too many problems to really get together – in other words, the editors at Marvel didn’t want them together. In order to keep them apart, the writers invented several problems for them. Well, in this miniseries they confront those issues head on. Mutants have been disappearing from Cerebra’s scans. 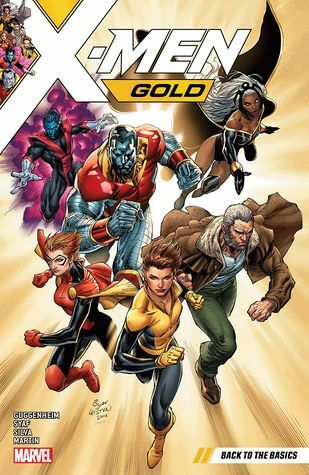 Kitty Pryde (who is now the leader of the X-Men) sends them to find out what’s going on. 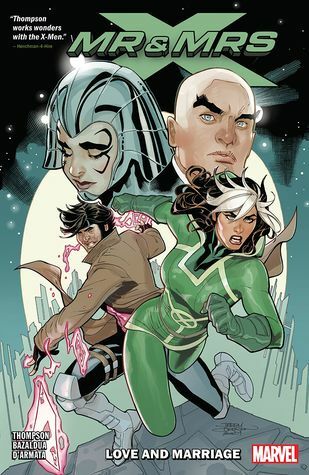 And the reason why she chose Rogue and Gambit is that the mutants are disappearing from a paradise island where a counselor offers to “free mutants of their trauma” and Kitty wants to send in a couple who needs counseling. Rogue is less than thrilled but since Gambit agrees, they head out. They talk about their problems to a couple’s counselor while sneaking around. This is as much fun as it sounds with Rogue and Gambit snarking at each other while also wanting to be together. The story has just as much fisticuffs and mystery solving as figuring out their relationship. The villain turns out to be quite an interesting person but their motives are left open. Thompson manages to make some rather questionable editorial decisions somehow reasonable for the characters, especially when you consider that Rogue was just 18 when they met. I’m pretty sure we haven’t been told Gambit’s age but he had been married and divorced by the time he met Rogue. We also get to see their first meeting which was during the time Shadow King had taken over Muir Island and they were both under SK’s mind control. 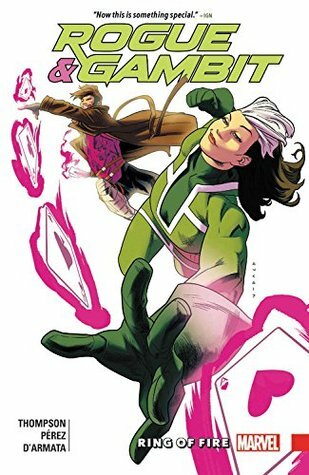 Recommended to fans of Rogue and Gambit. The story references a lot of their history so to get most out of it, you should be familiar with them.